4. 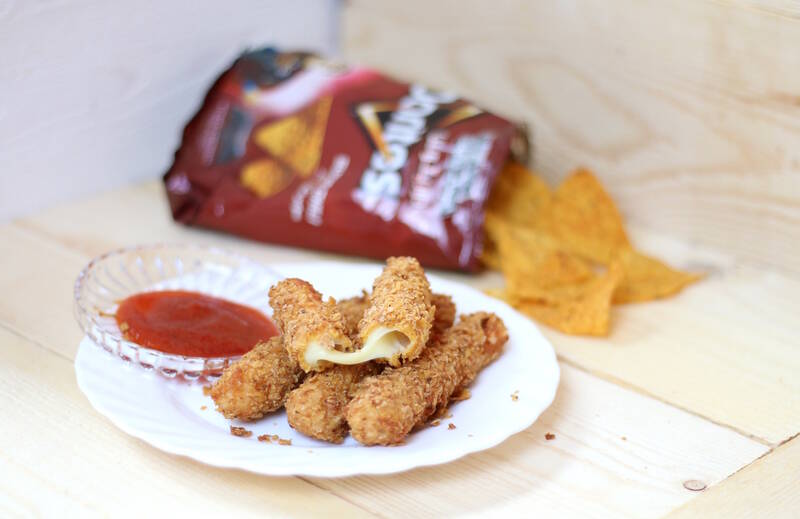 First dip the mozzarella stick in the first bowl followed by smearing the stick in the wet mixture present in the second bowl and then finally coating it with crushed Doritos in the third bowl. 5. Bring the oil to boil and slowly toss in the sticks. Remove it when they turn golden-brown. Serve with your favourite dipping sauce (eg: spicy garlic tomato ketchup, marinara sauce, Tabasco or ranch)!